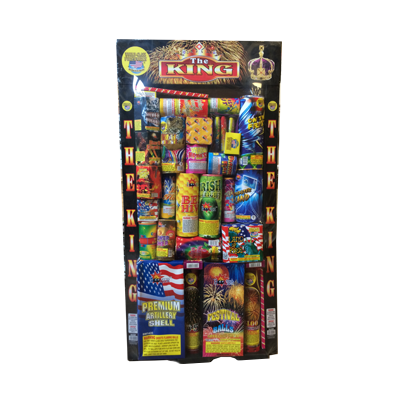 The King – An assortment with over 20 different items from small foutains, small aerial items to artillery mortars. Revolution - Safe and Sane Assortment. Star Power - Extra large sized fountain assortment that contains several 100 gram fountains and an array of smaller fountains and sparklers.